I found this recipe online and wanted to share it. This is so easy to make! Cooking Time: 3 minutes in microwave. I added powdered sugar on top of mine when it was done. So yummy & quick!!! Also, here is a low fat version of chocolate mug cake. I haven't tried this out, but if you do let me know in my comments how it turned out! 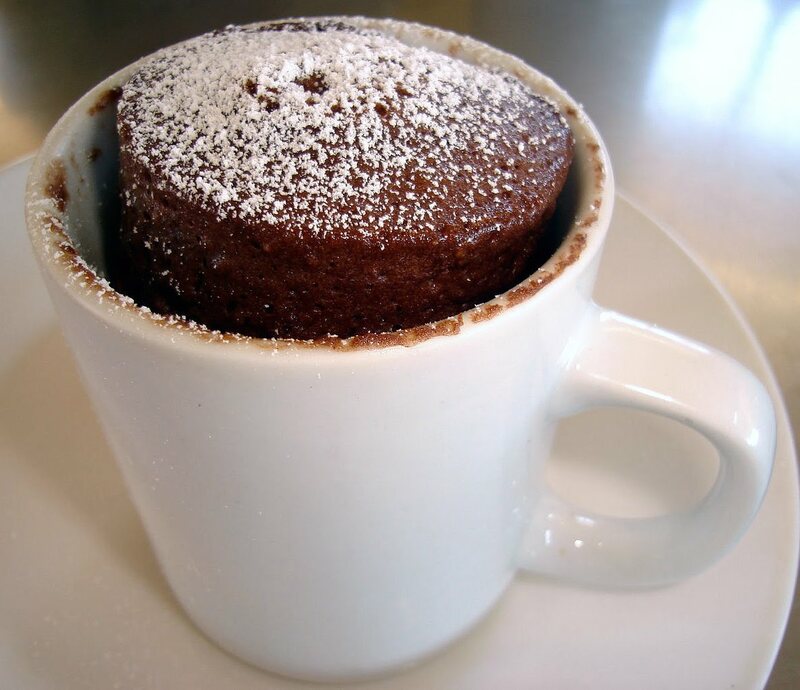 For non chocolate lovers: Yellow cake in a mug recipe.